You could say Kieran Fallon has a knack for being in the right place at the right time. His graduation from New York University School of Law in 1992 coincided with a period of explosive growth in the mutual fund industry—the net assets of mutual funds grew from $1.6 trillion in 1992 to $5.5 trillion in 1998, an average annual growth rate of 22.4 percent—creating considerable work for the banking and financial services group at Morrison & Foerster, where he was an associate. In 1995, he joined the US Federal Reserve Board. He focused initially on bank mergers and acquisitions, but in 1997, he was asked to work on the Gramm-Leach-Bliley Act. Fallon was also counsel to the Financial Stability Oversight Board, which oversaw the implementation of the Troubled Asset Relief Program (TARP), designed to address problems created by the subprime mortgage crisis, and on the Fed’s AIG team. In 2010, he worked on the Dodd-Frank Act. “It was an exciting time to be at the Federal Reserve,” he says. His extensive expertise hasn’t gone unnoticed by those he’s worked with, either. 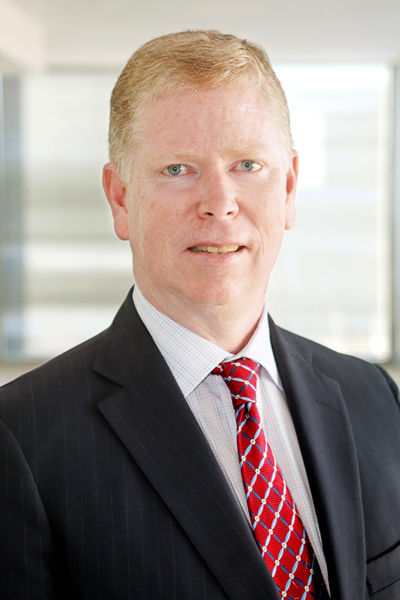 “For many years, Kieran has been one of the most important players in the evolution of financial-services regulation,” says Richard K. Kim, a partner at Wachtell, Lipton, Rosen & Katz. Based in Pittsburgh, Pennsylvania, PNC has grown into a $380 billion industry leader over the course of its 166-year history. Its retail network comprises 2,400 branches and 9,000 ATMs across 19 states and the District of Columbia, and its asset-management products and retail and corporate banking services assist a variety of customers—from individuals and small businesses to corporations and government entities. Even with offices in Canada, China, Germany, and the United Kingdom, PNC remains attuned to its customers’ local communities, and Fallon helps facilitate that strategy. He was promoted to senior deputy general counsel responsible for regulatory, government affairs, and enterprise risk in 2013. In addition to those core responsibilities, he also focuses on improving PNC’s use of technology and expanding the company’s diversity and inclusion programs. The emphasis on diversity has also influenced PNC’s development of new products and services. “The way younger and culturally diverse customers interact with banks and make purchases is pushing us to think outside the box,” he says. For instance, the company’s flagship checking product, Virtual Wallet, automatically links three accounts—Spend, Reserve (for short-term savings), and Growth (for longer-term savings)—drawing funds from the latter two accounts, as necessary, to cover expenses and avoid overdrafts. It also includes a digital calendar to track upcoming events such as paydays, automatic bill payments, and “Danger Days,” which appear in red and are dates when the customer’s checking account is in danger of being overdrawn. Another easy-to-use digital program, called PNC Total Auto, allows customers to search for and locate cars for sale based on their specified criteria—and even obtain financing. PNC also offers the Zelle mobile service, which allows real-time person-to-person payments using the recipient’s cell phone number. “I actually use Zelle myself to send rent money to my son, who is a senior at Georgetown University,” Fallon says. PNC launched a national strategy in 2018, which Fallon describes as a combination of digital deposit accounts and a “branch-lite” physical presence. “Our research indicates that an increasing number of consumers are comfortable banking with an institution online, provided there is a physical branch within a reasonable driving distance.” As part of this strategy, PNC opened its first Retail Solutions Center, in Kansas City, Kansas, in October 2018, with another scheduled to open in Dallas, Texas, in the first half of 2019.